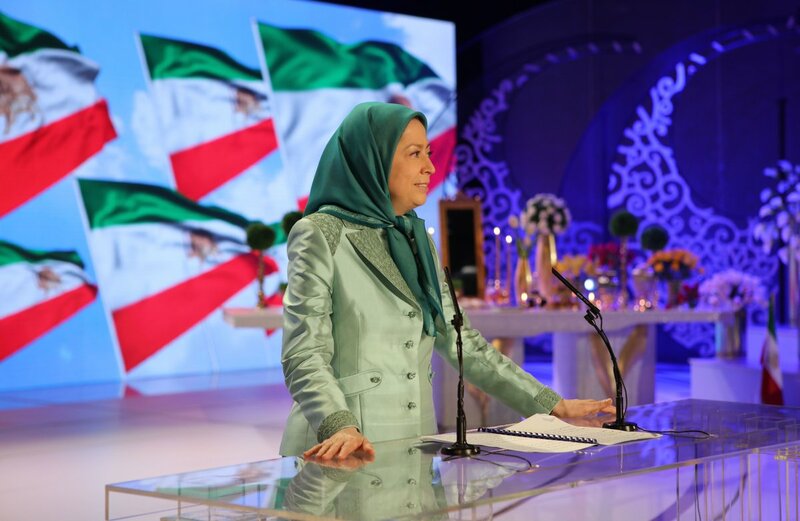 In a grand gathering in Tirana, Albania, on the occasion of the Persian New Year, the Iranian Resistance’s President-elect Maryam Rajavi wished that the New Year would be the year of breaking the chains of the religious fascism ruling Iran. Today marked the beginning of the Iranian New Year or Nowrouz that starts with the arrival of spring. Mrs. Rajavi wished the looming of the spring of freedom and national sovereignty, the failure of the mullahs’ belligerence in the region, and the year of emancipation of the defenseless people of Syria from the clutches of the clerical regime ruling Iran. Thousands of members of the People’s Mojahedin Organization of Iran (PMOI) took part in the grand event. John Bolton, former US Ambassador to UN; Robert Torricelli, former member of the US Senate; David Muniz, deputy US Ambassador in Albania, Jean-Pierre Muller, Mayor of Magny en Vexin and member of Val d’Oise Provincial Council; and Bruno Macé, Mayor of Villiers Adam from France, took part in the gathering. A considerable number of political personalities from Albania including Elona Gjebrea, Deputy Minister of Interior; Pandeli Majko, former Prime Minister; Fatmir Mediu, former Defense Minister and leader of the Republican Party; and Archbishop of Tirana Rev. George Frendo took part in the gathering. Maryam Rajavi pointed out, “The Iranian people’s Nowruz comes the day when all sectors of Iranian society including the Fars, Baluchis, Kurds, Arabs, Azeris, Shiites, Sunnis, Christians, Jews, and followers of other religions and creeds could live together in peace in a society based on separation of religion and state. This would be a society where everyone can freely think and express their opinions, elect and promote their political traditions, endeavor to change any government they deem is against the people’s interests, and a society where people can choose their clothing, and no compulsions are sanctioned.